The goal in this project was to renovate the main floor to create an appealing contemporary living space that better suites our client’s requirements for renting this 2 storey duplex. 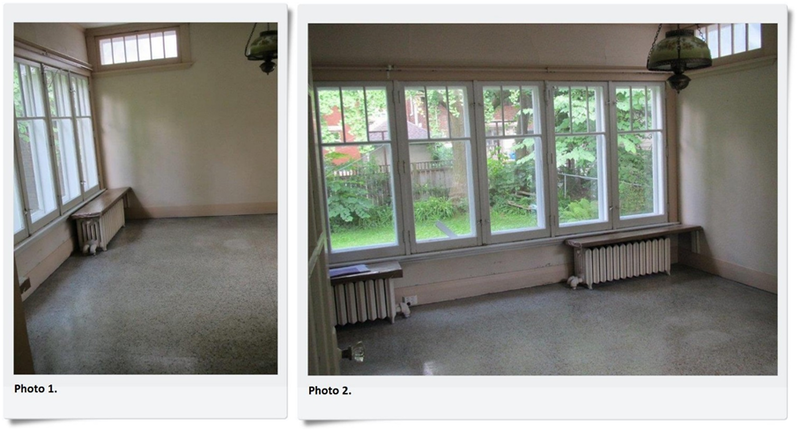 These photos are of the old sunroom located at the rear of the home. 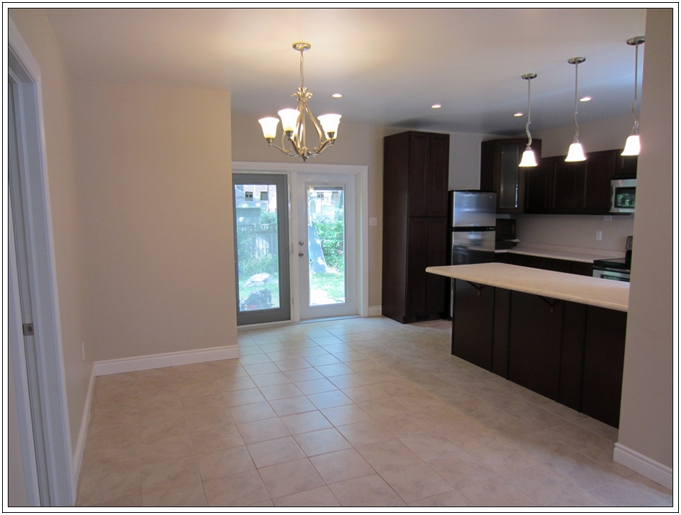 We completely redesigned this room and created an open concept contemporary style kitchen and ensuite laundry area. In photo 1 of the “Before” the wall where the small window up in the upper left is where the corner cabinet on the fridge side of the “After” photo. In this photo, the garden doors were installed where the 5 taller windows are located shown in the “Before” section Photo 2.Note: In the photo below on the left side, a closet was created for a convenient ensuitelaundry area. 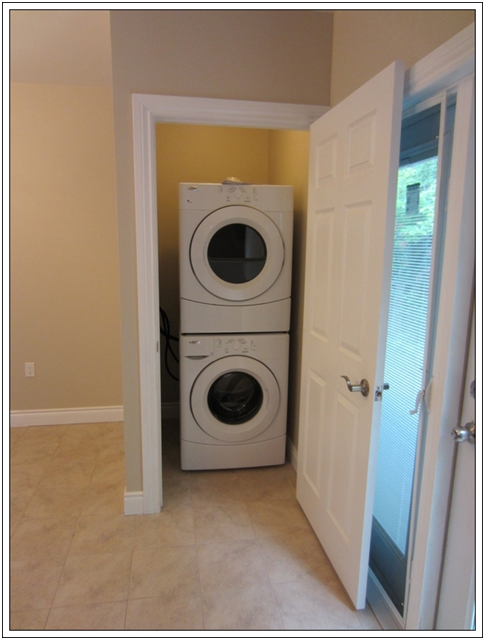 In the design process of this renovation project, we wanted the laundry area to be conveniently located near the garden doors, after all who wants to be stuck inside doing laundry on a nice summer day! A bonus feature is this pair of brand new energy efficient front load washing machine and dryer set. The result, a beautiful fully functional kitchen with all new cabinetry done with an espresso finish, brand new stainless steel appliances, dimmable recessed and pendant light fixtures to provide that right amount of lighting you need, all new flooring, and brand new countertops with plenty of work space. Perfect for creating those great family meals! 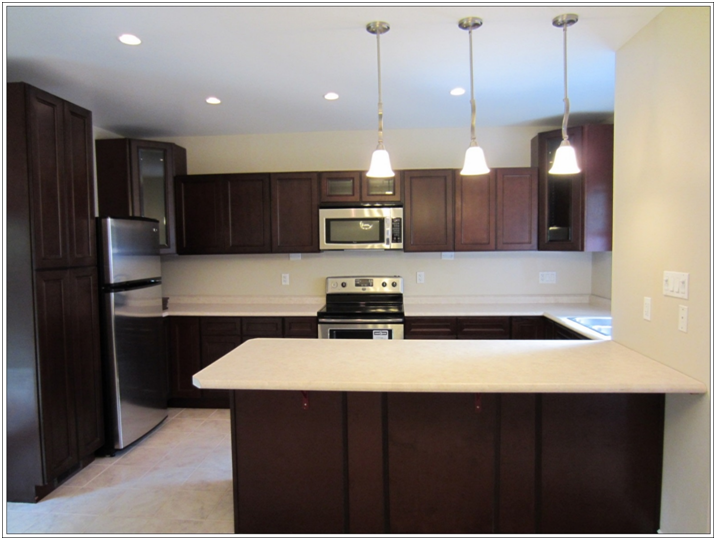 Bonus feature; a breakfast bar area!